3-Station Quench Press (3SQP-75) that we offer is a hydraulically operated 3-Station 75 Quench Presses, which is a heavy duty machine used for very heavy components. Each of the three stations works independently and can be set for different components, if required. All operations except loading of components are automatic. 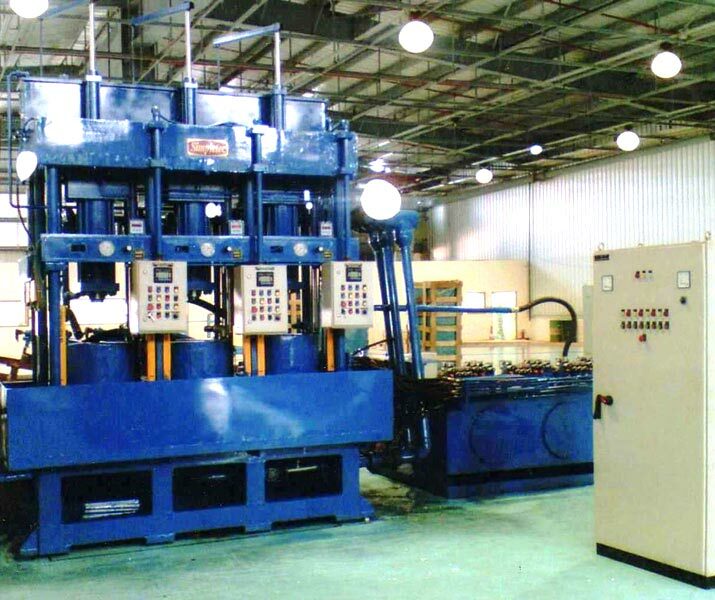 Our 3-Station Quench Press is also provided along with pick & place manipulators for automatic loading of components. The ram pressing force can be precisely set from 7.5T to 75T. Further, pressing force and quench oil flow can be seen on the HMI provided in the electric panel of our 3-Station Quench Press machine. Our 3-Station Quench Press can also be equipped with Secondary Quench System, completed with conveyor, for the removal of the components after the quenching operation. Also, the secondary quench time can be set as required by selecting the conveyor speed.